Recent Comments Widget will display excerpts of the most recent comments that have been posted to the articles in your blog. While displaying recent comments you can customize number of comments and comment excerpts size. You can choose whether to display the post title and comment date or not. Below is a steps on How to Add Recent Comments Widget in Blogger. #Step 1. 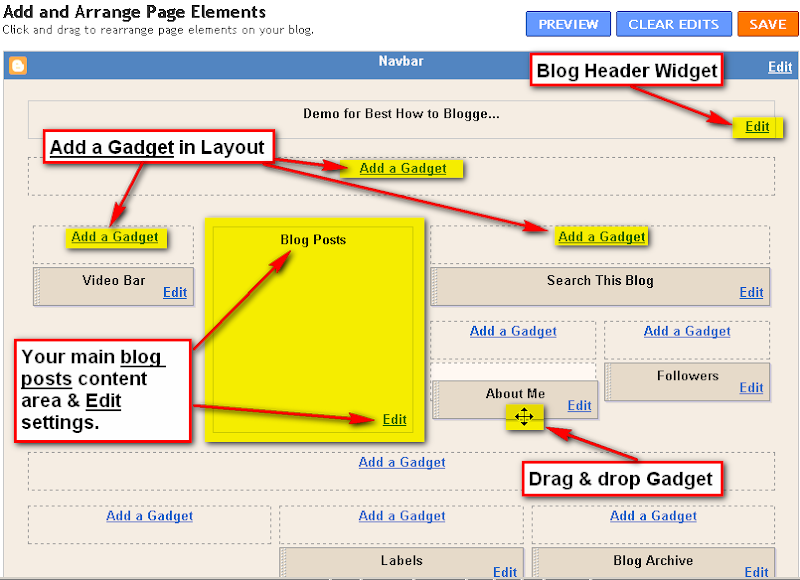 Log in to your Blogger Dashboard and Navigate to Layout > Page Elements. First Replace the blog url with your Blog URL in above code, and then change the below items as per your requirements. #Step 4. Click Save and done!. Get free information related to "How to Add Recent Comments Widget in Blogger". Dear, Piyush, my name is Piash. Have some similarities with your name. Aneway, your blog has some rare tips. Also your presentation graphics is very nice. Bro, which software did you use to draw the arrow and lines in page element tutorial? @Piash, I am using Faststone Capture Demo version to take a snap shots, there are plenty of software's are available in the market for the same purpose, but i like Faststone screen capture more. hi, how did you make your blogger comment countable...i mean, in the comment page, it show comment count.also show commentators profile. just like comment above...owh, sorry for my bad english.hope you understand.